The number of connected TV channels on terrestrial TV looks set to increase further after Ofcom issued two new licences to Arqiva's Connect TV allowing it to launch new services from South Africa and Japan. 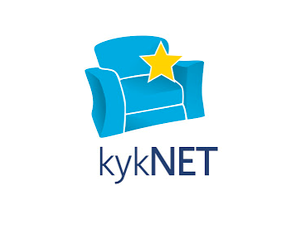 South Africa's kykNET and JSTV from Japan are now licensed to become services that can be streamed via broadband internet to connected Freeview HD devices, accessed via a gateway using a Freeview channel number between 225 and 299.
kykNET is an Afrikaans language channel, which first launched in 1999. It is owned by South African pay TV operator M-Net. JSTV, which also operates as pay TV service, offers viewers a mixture of programmes from Japan's NHK, TV Tokyo, Fuji TV and other Japanese broadcasters. Viewers who remember analogue satellite television may recall JSTV, which was originally available on Sky's analogue service in the 1990s, when it timeshared with now-defunct service The Children's Channel. Most connected channels on Freeview are not available on YouView boxes, however both kykNET and JSTV are available as World Boost channels on TalkTalk's YouView where kykNET is available for £10 a month and JSTV for £30 a month. Connected channels available to viewers with compatible Freeview HD devices already include pay TV add-on services Racing UK and VuTV and free-to-view services Propeller TV, CCTV, TVPlayer and Vision TV. Vision TV launched earlier this month with free-to-view international channels.